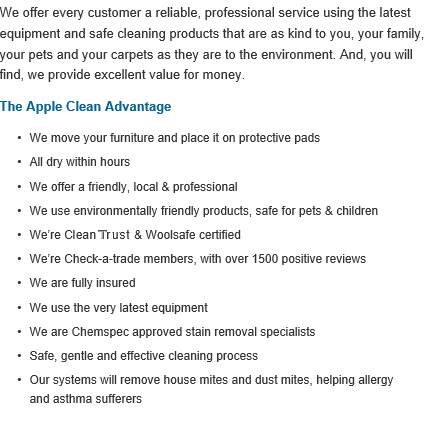 Apple Clean are expert providers of carpet, curtain and upholstery services to homes and businesses in Eastbourne. We have a professional track record of 25 years and offer top quality services for stain removal, carpet cleaning and in-situ cleaning of upholstery and curtains. For best results in Eastbourne, contact Apple Clean. Hi, I’m Jonathan and for over 25 years I’ve been supplying carpet, curtain and many other cleaning services to homes and businesses in and around Eastbourne. My beliefs have always been that the best way to success with a local business is to offer an exceptional service which is both professional and personal, giving great customer service and achieving excellent results. Give me a call today and I’ll explain what we can do for you and I’ll give you honest and realistic advice. At the same time you can get an instant no-obligation quote. 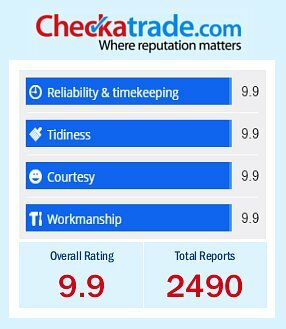 We are very proud members of the Check-a-trade scheme as it enables you to see certified and genuine reviews from past customers in and around Eastbourne. Give us a call us now on 01273 799 475 to find out more about the cleaning services we provide to homes across Eastbourne and how we can help you. For professional cleaning results for domestic and commercial cleaning in Eastbourne – call Apple Clean today. 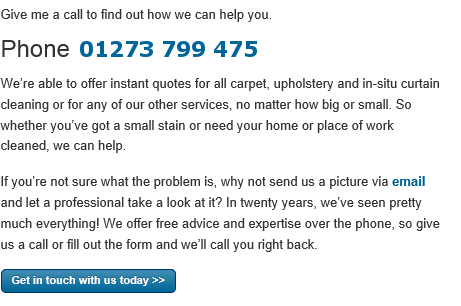 We are an independent business with many years’ experience in servicing all your carpet and soft furnishing cleaning needs. 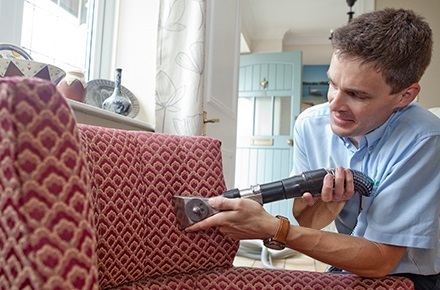 From in-situ carpet cleaning, specialist carpet cleaning and oriental rug cleaning, to in-situ curtain cleaning and upholstery cleaning, our highly trained team has the knowledge and experience to tackle any cleaning job – no job is too small or too big! We are always happy to give specialist advice and can also deal swiftly and effectively with specialist task such as leather cleaning, stain removal and Scotchgard applications. Carpets, curtains and upholstery require regular attention to keep them looking fresh and clean all year round. 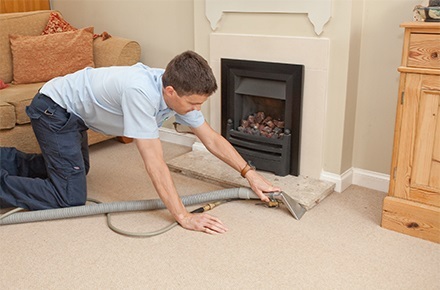 It is, of course, possible to do your own carpet cleaning and upholstery cleaning – however using incorrect cleaning agents or the wrong cleaning methods can lead to fabrics becoming damaged, which may lead to expensive repairs or even replacements. Is it really worth the risk? Apple Clean can come to your aid, with a highly qualified team in Eastbourne that uses the latest technology to deliver superb cleaning results at very competitive prices. Our operatives are reliable and courteous, providing a professional service and outstanding cleaning solutions.